Meghan Markle has a talent that would come in very handy for any bride not marrying a British prince. Markle, 36, is a talented calligrapher. “I went to an all-girls Catholic school where they would teach penmanship courses,” Markle told Glamour magazine in 2013. 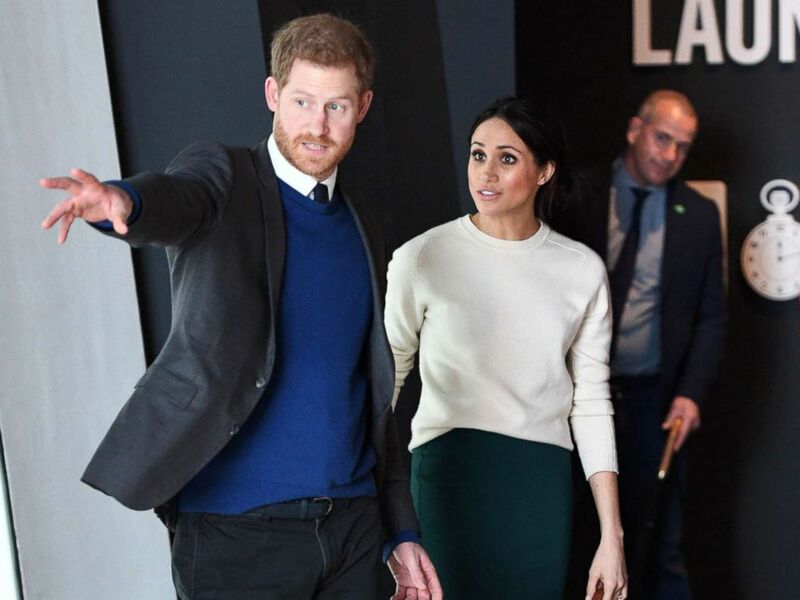 Prince Harry and Meghan Markle during a visit to Titanic Belfast maritime museum on March 23, 2018 in Belfast. 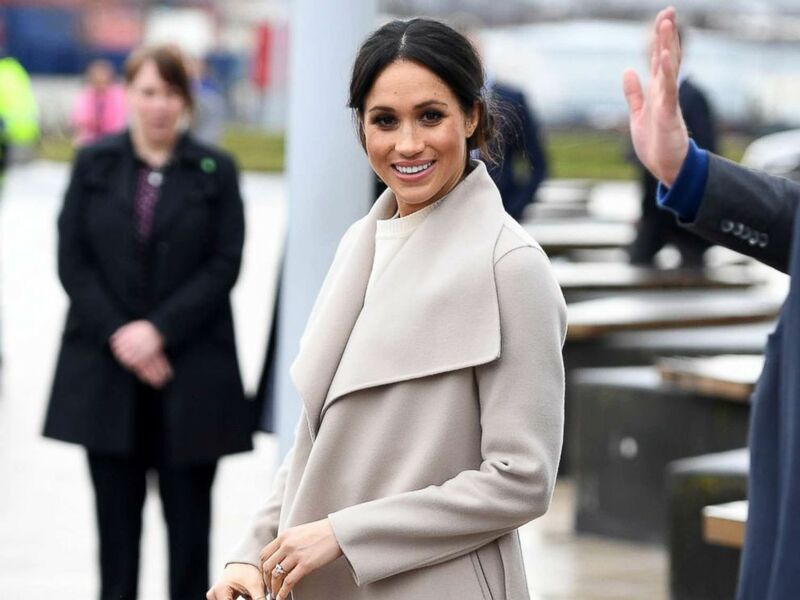 The skill she learned while in school in Los Angeles paid off years later when Markle was trying to make it as an actress. “When I was auditioning, at the onset, instead of waiting tables, I did calligraphy,” Markle told the magazine. Markle spent time teaching calligraphy at a Paper Source store in Beverly Hills, the stationery retail chain confirmed to ABC News. "While getting her start as an actress, Meghan Markle worked as workshop instructor at our Beverly Hills location," Paper Source said in a statement. "At the time, Paper Source workshops focused on paper arts, bookbinding, gift wrapping and calligraphy." 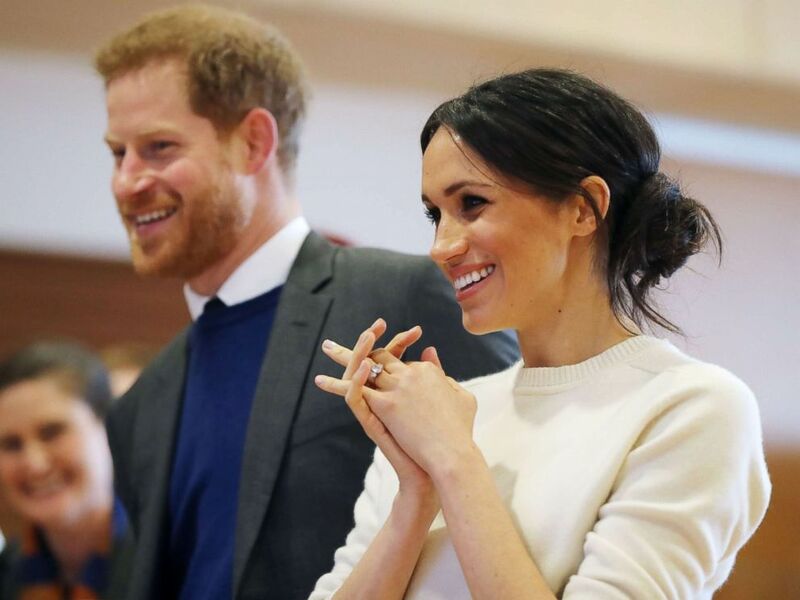 The company added of Markle's role, "She was engaging everyone from the casual creator to the master class artisan in the art of creating with paper." The future member of Britain's royal family also wrote the invitations for Robin Thicke and Paula Patton’s 2005 wedding and wrote holiday greetings sent to celebrities by fashion house Dolce & Gabbana, she told Esquire magazine in 2013. Prince Harry and Meghan Markle during a visit to Titanic Belfast maritime museum, March 23, 2018 in Belfast. "I would sit there with a little white tube sock on my hand so no hand oils got on the card, trying to pay my bills while auditioning," she said. "I'm glad that in the land of no one seeming to appreciate a handwritten note anymore that I can try to keep that alive." Markle even once showed talk show host Larry King her calligraphy skills during a 2013 interview. Markle, of course, went on to land a star-making role on the TV drama "Suits" that allowed her to keep calligraphy as a side hobby. For her wedding next month to Prince Harry, Markle has no need to handwrite her own wedding invitations. Prince Harry and Meghan Markle during a visit to Catalyst Inc science park in Belfast where they met some of Northern Ireland's brightest young entrepreneurs, March 23, 2018 in Belfast. 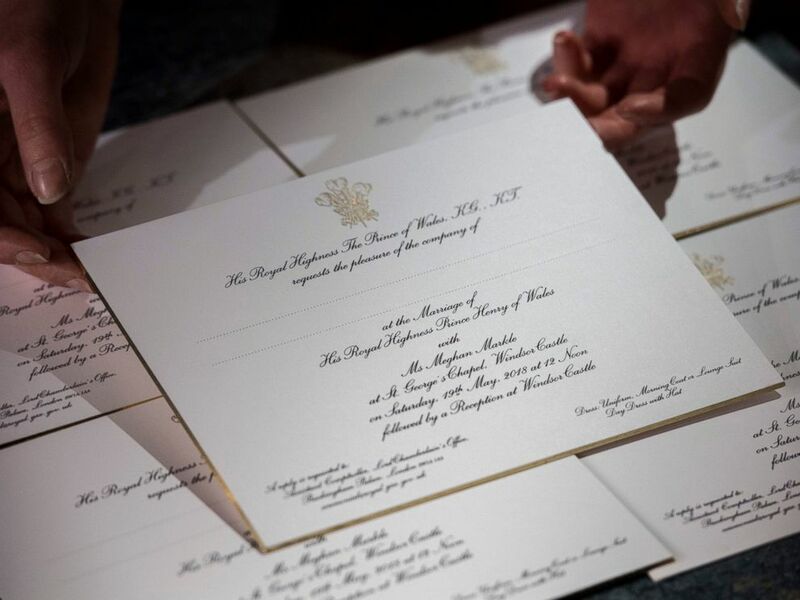 The names of guests invited to Harry and Markle's May 19 wedding were added by a calligraphy printer, Kensington Palace announced last month. The roughly 600 invitations were die-stamped in gold and then burnished, with the text on the invitation also die-stamped. The invitations, accented with gilded edges, feature the three-feather badge of the Prince of Wales. Calligraphy has experienced a resurgence in recent years, but the writing style has loosened up, according to Alyssa Longobucco, style and planning editor for The Knot, a wedding planning website and app. "[Traditional calligraphy] is more black-tie and buttoned up and that’s not the type of wedding most people are having these days," she said. "Today it’s more modern and relaxed, a hybrid between traditional handwriting and calligraphy aspects that is more personality-packed and readable." Markle and Harry's wedding invitations showcase traditional calligraphy, which could put that style back in the forefront, according to Longobucco. "We’re still seeing repercussions from [Prince] William and [Princess] Kate’s  wedding," she said. "I think we’ll see trends emerge from what Meghan chooses for her stationery and invitations for years to come." Addressing a wedding invitation envelope in calligraphy can take as long as 10 minutes for a beginner, according to Alyssa Bobbett, who runs a Washington, D.C.-based calligraphy business, Laura Hooper Calligraphy, with her sister, the company's namesake. Hiring a calligrapher can cost a bride $3 to $5 per envelope. The national average in 2017 for the amount spent on wedding invitations was $408 by bride and grooms, according to The Knot 2017 Real Weddings Study. "The invitation is really your guests’ first impression to your wedding," Bobbett said of why brides choose to spend time and money on calligraphy. "It really sets the tone for what is to come and I think that’s why it’s so popular. It’s a special, personal touch." Laura Hooper Calligraphy's in-person training courses are usually populated with "a lot of brides and maids of honor, moms of brides, sisters of brides who have been pulled into helping the bride," according to Bobbett. Interested in trying calligraphy? Here are Bobbett's top tips. 1. Budget enough time to train: Most brides need "a few months" of training and practice before they're reading to address their own wedding invitations, according to Bobbett. 2. Practice, practice, practice: "There’s nothing that will make you get better without practice," Bobbett said. "It's the same as any other physical activity, in that the more frequently you do it, the more quickly you improve." Practice is the key to improving your calligraphy skills...and yes, I practice, too! We're gearing up for our FREE 5-day challenge coming again later this month & it includes drill sheet downloads & real-time video of me practicing right along with you. Click the link in my bio to sign up for the wait list to be notified when we run it again. The enrollment period is limited and you don't want to miss out because of the pesky IG algorithm! Get on the wait list now, and you'll get the details sent straight to your inbox. - Photo of my own practice sheets. Black lined pad + white via our LHC shop. 3. Artistic ability helps: "Calligraphy is more like drawing than it is writing," Bobbett noted. "Having neat penmanship won’t necessarily help you. If you’re adept at cursive, that will help you right away." 4. Having the right tools is a must: The biggest roadblock for beginners is not knowing the correct combination of ink and paper to use, according to Bobbett. She advises investing in a starter kit that is specifically curated for beginners. 5. Don't be afraid to invest in help: "Even if you don’t have the budget to hire a calligrapher, get the kit curated for beginners," said Bobbett, whose company has a list of tips available online. "In-person learning is my top recommendation."